They said their vows and exchanged rings. My daughter was glowing. I had never seen her so happy. My son-in-law adored her, calling her his angel. He called himself a pagan. He spent his formative years on a Native American reservation where his mother was a nurse. He grew up bare footed, with dirt floors, surrounded by poverty. But that didn’t matter because the community offered love and support. Everyone was his mother or father, sister or brother. I had written a song for each person in my family. Now it was time to write a song for Joe. Could I write one that honored his childhood yet reflected a biblical worldview? Native Americans pass on their heritage through storytelling, singing, and dancing accompanied by drums. The drumbeat is powerful, full of emotion, and is described as haunting and beautiful. Joe’s song had to be based on Native American drum music. The Old Testament prophet Isaiah had a powerful, emotional encounter with beauty that haunted him the rest of his life. He saw God. Then he saw himself as God saw him. That encounter changed his identity and his view of the world. I wrote this song for Joe hoping that one day he, too, would encounter the God of the Bible. The story line is Isaiah’s. The music is inspired by Native American drum music. With a pentatonic melody for vibrato voice, the song has three pushes. The lead singer in the drum introduces each push. The rest of the drum, called the second, repeats the lead. All sing the chorus, or main theme of the song. 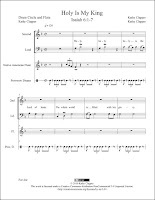 The chorus is followed by three accented drum beats called honor beats and the chorus is repeated. At the end of the last chorus the final five beats are accented. You’ll need speakers with a subwoofer to feel the power of the drums. No subwoofer? Use earphones! From the album “Main Street – Songs for Today” this video is scrolling playback of the song. 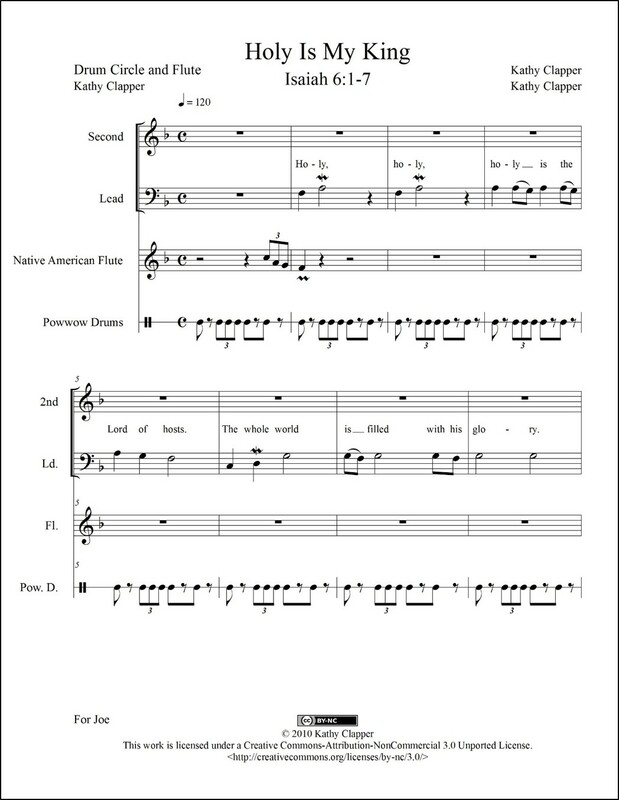 You can get print (PDF) and/or digital (MusicXML™) sheet music for Holy Is my King. Click here to read Isaiah’s encounter with God.